Today I’m interviewing Hillary Homzie. 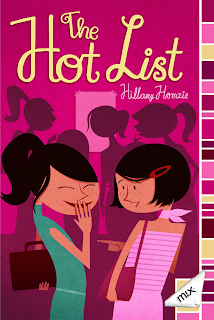 Her middle grade novel THE HOT LIST came out on March 8, 2011. It all starts as a goof between Sophie Fanuchi and her BFF Maddie Chen--a "Hot List" the two girls create and anonymously post in the girls' locker room listing the cutest boys at Travis Middle School. Soon enough the list has taken on a life of its own. Maddie's thrilled to be caught up in all the excitement and finally hanging out with the "pops," Travis Middle School's self-proclaimed It Girls. Sophie, however, misses just having secrets between herself and Maddie. Even worse, Maddie's suddenly super tight with Brenna Tate, leader of the pops and the daughter of Sophie's father's new girlfriend. As Sophie and Maddie's friendship unravels, Sophie latches onto an impulsive bet with Brenna to get the universe right again--Sophie declares she'll prove the list is meaningless by making over their wacky classmate Squid so that he can land on the Hot List. But will any bet or list matter more than Sophie's friendships . . .? Hi Hillary. Thanks so much for joining us. 1. Can you tell us a little about yourself and your book? By day, I immerse myself in the lives of middle school girls. But when school gets out, I’m reminded that I’m not 13 but actually the grown mother of three boys. Yes, three (ages 14, 11 and 6). No girls in my house. Recently, I think, I’ve been writing about girls to bring some balance to my xy-chromosome-dominated life. If you count my husband (and you have to count my husband), I live in a household with four boys, so I’m very out-numbered. The crazy thing is that when I was younger, I was really shy around guys. But let me tell you now that I know how the other side lives, thinks, and smells, I want to grab my younger self by the collar and go, c’mon you were afraid of them? 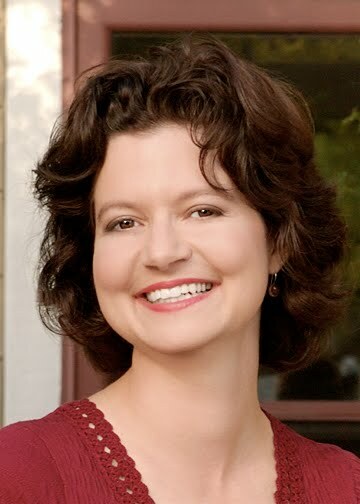 Before I was an author I had lots of jobs, including working as the publicist for a ballet company, a radio reporter, teaching ESL and performing sketch comedy. All of those experiences have helped me to purge any residual shyness. 2. How did you develop Sophie as a character? Is she or her problems with her changing best friends based on your own experiences? I have a very long-term best friend when I was growing up. She was and is still an absolutely amazing person—loyal, artistic, and we’d have the best conversations. I would have been content to live in an elementary school bubble of having her as my BFF and not have to deal with navigating lots of other close friendships. But she felt differently and needed to branch out. I think in writing this book, I was diving into those feelings. I still remember a conversation I had with my friend—“that we need to de-intensify our friendship.” She used words like that and all I knew is that it hurt. But and it’s a big but, the following year in eighth grade, I moved away for a year and was forced to really branch out. I came to understand my bff’s need to spread to a bigger group. And I discovered all of these wonderful girls that were right under my nose the whole time. I don’t want it to sound like I only had one friend. I didn’t, but previously I only allowed myself to get super-tell-all-my-secrets-close to one person. I feel like after writing this book, I love my bff more than ever. 3. It sounds like you’ve drawn a lot from your own experiences. The Hot List in the school bathroom causes Sophie a whole lot of troubles. How did you think of this unique way of spotlighting some of the issues middle school girls face? Honestly, a sixth grader told me how her middle school had a Hot List in the bathroom so I went from there. It just intrigued me--this idea of a secret hot list on the back of a bathroom door that all of the kids know about and none of the adults. And it got me wondering, what if my main character was the one who started this list? And then I thought some more. What would make someone start at hot list? The idea that Sophie was not someone you’d think of starting a hot list intrigued me. I thought, what if she’s doing it to impress her BFF who’s slipping away? Who’s been hanging out with a crowd that seems more fun? And Sophie is determined to be extra fun in order to compete. Of course, without revealing the whole plot. Sophie’s little plan backfires and the hot list spins out of control. She grows to hate the list and even to prove how dumb it is, tries to get Squid Rodriguez, the goofiest kid in the school onto the list. What happens is very interesting. And unexpected. 4. You’ve also had three other books published—WHO LET THE DOG OUT, TWO HEADS ARE BETTER THAN NONE, and THINGS ARE GONNA GET UGLY. Can you tell us about your road to publication and any bumps along the way? You know my first book happened pretty easily. I noticed that there was a new editor at Simon & Schuster. And I remember this piece of advice—try to send to new editors. This could be someone who’s come over from a different company or maybe an editor that has just been promoted. Anyway, I set over a manuscript and, boom, the editor calls me up within a week and then a week later, I got an offer. It was fairly magical. But I did hit a bit of a quiet time between my fourth book and fifth book. Quiet only in terms of publishing, not in terms of the noise level of my house. (I was having babies and they’re definitely not quiet—at least not my kids.) Anyway, I did get a couple of contracts on books that I was paid for but never came out. In both cases, it was because the company was swallowed up by a larger company. Ug. It was very frustrating. But I did learn something. These were projects that I probably didn’t love deeply but I was paid for and there was a part of me that wanted a publishing credit versus wanting to write the book. For my fifth book I just wrote what I wanted to write and I sold it to the first editor that I sent it to. Lesson learned: write what you want. 5. That’s awesome that you persevered and sold all your books without an agent. I read on your website that THINGS ARE GONNA GET UGLY was featured in the Justice stores. That seems like an awesome way to reach tweens. How did that happen? Do you have anything similar planned for THE HOT LIST? Oh, I wish I could take credit for that placement. That was a program that was dreamt up by the amazing Julia DeVillers, author of lots of great books for kids and teens, and then instituted by the wonderful team at Aladdin/Mix Books. I felt really grateful that they choose my book as one of the initial featured books. It was definitely a great fit. 6. Are you working on any other projects? Oh, yes. A new book for tween girls, dealing with one of those friendships that is forced by two annoying but well-meaning mothers, as well as a young adult novel. Good luck with your book Hillary. You can visit Hillary at her website and her blog. You can find her on Twitter @HillaryHomzie. Also check out the book trailer for the Hot List here. Nikki Katz, Hillary’s blog tour coordinator, is providing one copy of THE HOT LIST for a giveaway. All you need to do is be a follower (just click the follow button if you’re not a follower) and leave a comment by midnight on April 23rd. I’ll announce the winner on April 25th. International entries are welcome. And don’t forget that next Monday I’ll be sharing a really helpful resource to help you with your query letters that’s FREE and something else that is totally awesome. Hint. Hint. It involves Elana Johnson’s new book POSSESSION. I’ll be giving away a copy of her ARC! Trust me, you want to read it as soon as possible so be sure to enter. Thanks for the interview ladies! This book sounds amazing! Thanks so much Hillary for letting me interview you and sharing all your advice. And thank you to her publicist, Nikki Katz, for offering a copy of her book for the giveaway. I saw your book in JUSTICE! Awesome! Amazing to me that you did all of this without an agent. Fantastic interview, Hillary and Natalie. I so love the premise of this book. I bet it's going to be popular among MG girls! Great interview. My daughter would love this. Great interview. My daughter starts middle-school next year, sigh, and this sounds like it would be right up her flag pole. Thanks. What a great interview! I love that she would tell her younger self not to be afraid of guys :) Funny how perspective changes with age! I'm impressed at how well she's done in this market without an agent. It just goes to show, there's no one way to make it in this business. I really enjoyed the interview. I am glad you have the girls to provide ballast to your all boy home. I got so sick of making boy costumes when they were young that I would shanghai some of their girls friends so I could make girl things. Fortunately my sons as almost as many girl best friends and cousins as they did boys. Now I have a calabash daughter and granddaughter Grace so I get to play doll houses and barbies. Grace is in Kindergarten, but oddly enough, she sometimes sounds like your Sophy. I didn't know they so much about boys that young. But boys are up there - right between lady bugs and Barbies. Thanks so much for all of your comments, everyone. I want to straighten something out. I do currently have an agent. A wonderful agent. Sean McCarthy at the Sheldon Fogelman Agency. At the time that I sold my first book, I had a different agent. But I was the one who noted that there was a new editor, and made that connection. Whether you're agented or non-agented, I would encourage all aspiring authors to go to conferences and network and to read blogs like Literary Rambles. You'll have a chance to meet lots of amazing agents here. Hi Hillary, thanks for clearing that up about your agent. I didn't realize you were either. We're still impressed by you. Hilary Homzie is a fabulous author and teacher. I got the pleasure of being in one of her fiction workshops at Hollins University Children's Lit MA program. She is super talented and I love it when she has a new book come out! Great interview!!!!! Thanks, for the shout-out Dhonielle, a very talented writer. I'm so excited to see you here. The Hot List sounds awesome! If I don't win it...I need to run to B & N and buy or order it. Great interview! For anyone who isn't sure if they need a copy of Possession by Elana Johnson....They do, for sure! I'm about halfway through my arc and it's super!!!!! Hmm, I live in a house full of boys, too, and my MG books (well, book starts, none complete) are all boy-books. Hillary, you might have inspired me to try something new! I'm sure I have a boy book in me, too. But I'm having fun, cocooning myself in all things girl while I'm outnumbered at home. I like that "right what you want" advice. what a great interview! Love this story of how Hillary got her first book published. So interesting how every path is different. This book sounds so interesting and real! I'm heading over to Hillary's sites now and will definitely pick up this book! Thanks so much. what a great interview.. you're so lucky.. This good interview! Has fun reading it, yes? GOOOOO hILLARY!! Fresh like Tesh, is it not? Shoutout to my budster, CHAWNCEY!! We always loved you Hillarie. YES! YES! YES! YES! Thanks Chawncey. That went to the heart. Like the teens do it, <3 u Chawnce! teens + tweens, huh, Chawncey?